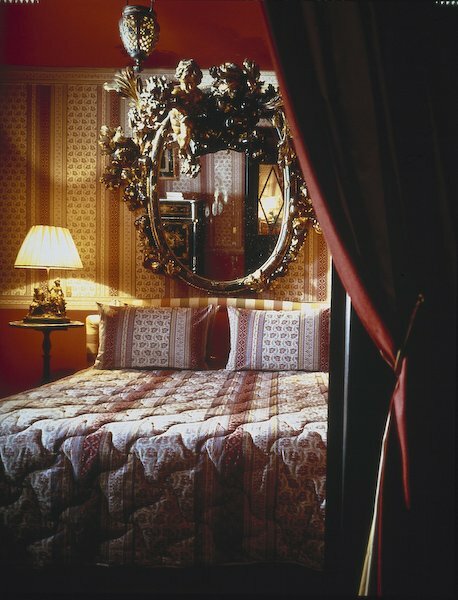 "Small, treasure-filled left-bank garret hotel of Oscar Wilde fame, ideal for liasons"
In the 16th century in the area of St. Germain-des-Pres there were the Pre aux Clercs, Queen Margot's palace and the abbey of St. Germain-des-Pres. On the rue des Beaux-Arts in the heart of St. Germain-des-Pres there was also a large park that, in the beginning of the 19th century, was given by the Rochefoucault-Liancourt family to the abbey. 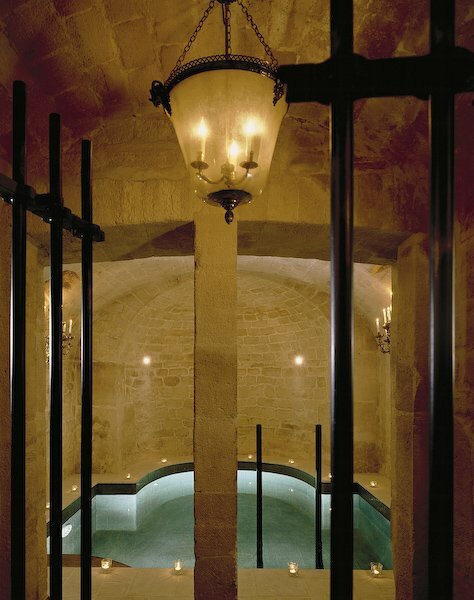 It was on this site above magnificent cellars that a 'un pavillon d'amour' was built. 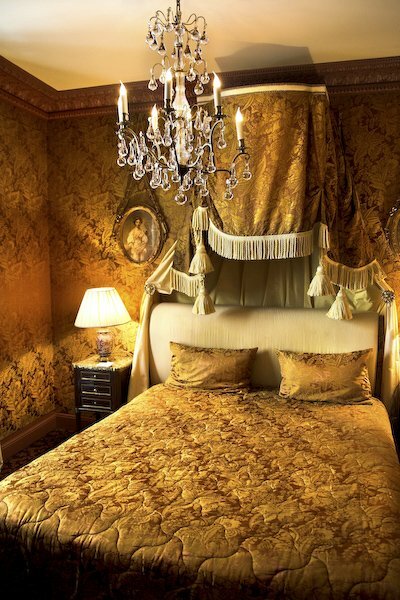 This 6 storey period building will become an exquisite maison 'Directoire' offering accommodation in Paris's famous left bank and is today well known as "L'Hotel". 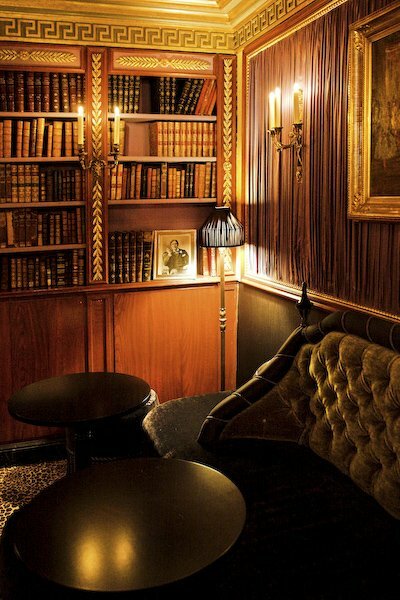 With the Ecole des Beaux-arts, art dealers and galleries within such easy reach, you can hardly remain unmoved by the literary and artistic atmosphere of this area. 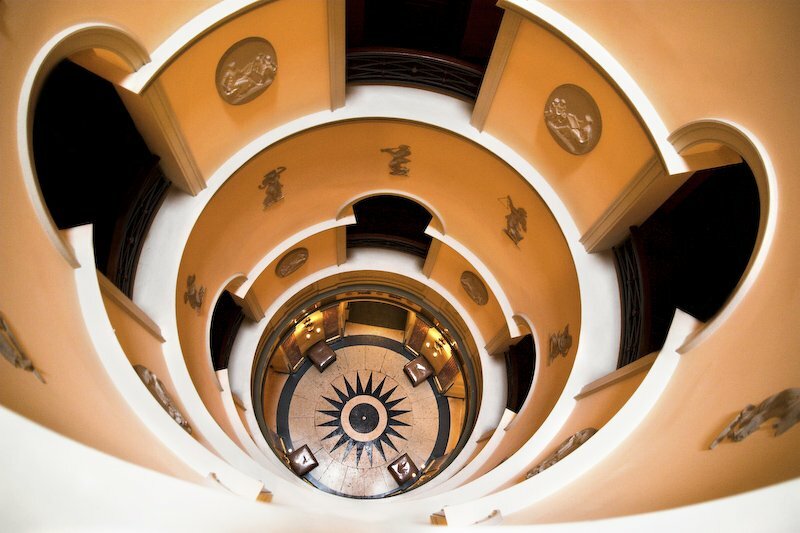 The fashionable interior designer Jacques Garcia has recently refurbished L'Hotel from top to bottom. 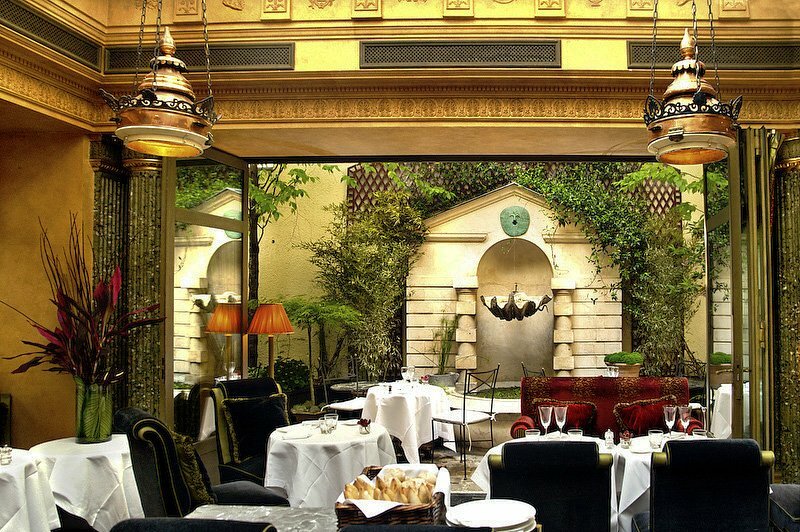 He has modernised one of the capital's legendary hotels whilst retaining all of its original attributes - 'une maison de charme', intimate and discrete. 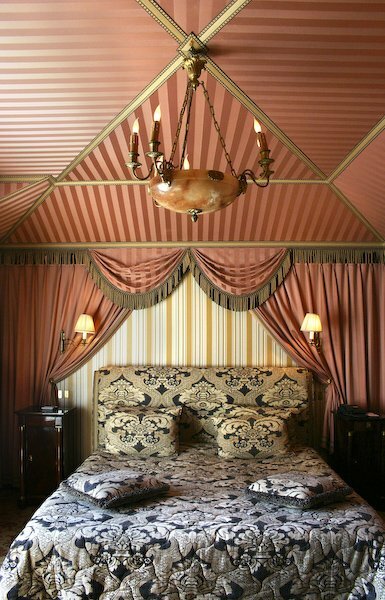 Each of the rooms has its own unique character. Behind each number hides a name, a memory, and a tribute to the period. 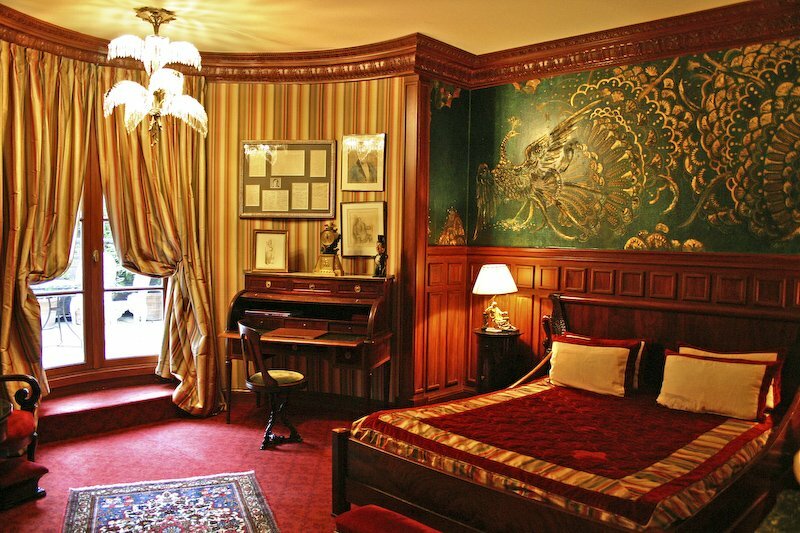 For example, a room has been redecorated in the Victorian style and is where Oscar Wilde spent his last days. 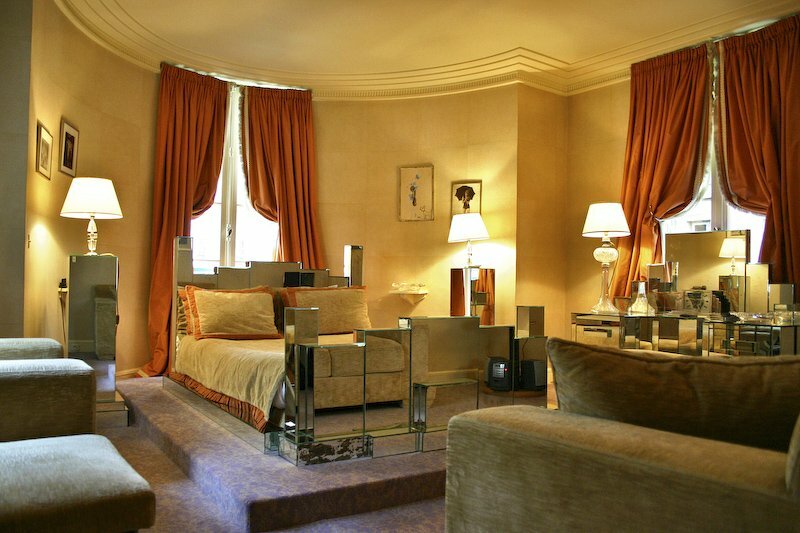 An other room was decorated with Mistinguett's favourite furnitures and is a time-travel back to the Art Deco period. 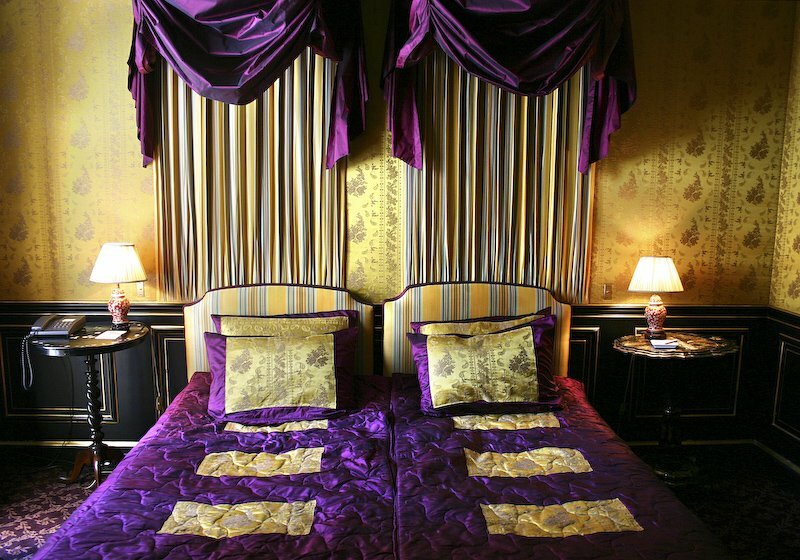 Or there is Apartment - the Cardinal, a terraced apartment with impressive views overlooking the roofs and belfry of St. Germain-des-Pres.